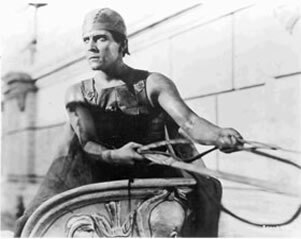 Ben Hur left its mark on history for being the most expensive Hollywood production of its time. Directed and produced on a grand scale, it’s a must-see for the virtuosity of its action scenes and the high impact of its storytelling style. Unmissable is the world famous chariot race scene, for which a real race was staged, filmed by 42 cameras, attended by the cream of Hollywood and with cowboys and stuntmen as the chariot racers. Fully restored with Technicolor sequences and all the original tints.